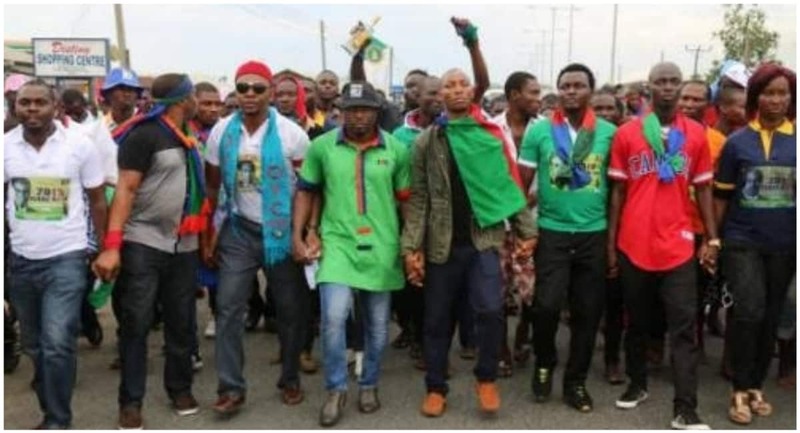 The Ijaw people will only vote for a party with an Ijaw candidate in the 2023 Delta governorship election, says Pereotubo Oweilaemi, president of the Ijaw Youth Council (IYC). According to Tribune, Oweilaemi said Ijaws are the kingmakers and deciding factor in Delta state. He stressed that it is time to ensure that Ijaws produce the next governor; pointing out that since 1999, the Ijaw people have supporting other ethnic nationalists in the state to become governor. The IYC president also advised Ijaw politicians interested in becoming governor in 2023 to indicate interest now and warm up; warning that time waits for no one. When asked what will happen if the ruling party in the state fails to give its governorship ticket to an ljaw man in 2023, he said: “Well, if the ruling party in the state denies us their governorship ticket then we would have known the party is not serious in winning the governorship election and other elections in the ljaw areas. Meanwhile, Legit.ng previously reported that the for making Professor Nelson Brambiafa from Bayelsa state the acting director of the Niger Delta Development Commission (NDDC). The council also said there were moves by some politicians to seek the removal of the new acting director for political gains. Tare Porri, chairman of the IYC, said the appointment had shown that it was their turn in Bayelsa to lead the commission.